SHOW: Sirane Group exhibiting at ‘2-day boot camp’ show for smaller food and drink companies. B&G PRODUCTS, the flexible packaging arm of Sirane Group, is exhibiting at the Bread & Jam show this week – a ‘2-day boot camp’ show for smaller food and drink companies. B&G Products – a UK-based manufacturer of innovative bags and pouches which became part of the Sirane Group earlier this year – will be able to offer packaging solutions from our range of bags and pouches, including our environmentally-friendly Earthpouch. We’ll also be showing products including thermally-insulated bags. Peter Ralten, Commercial Director at B&G Products, said: “For start-up companies, and food manufacturers still in fairly early days, packaging can be a real issue. Getting the right advice and finding a packaging supplier where the minimum orders are not too high, and who can work with you as you grow, can be a bit of a minefield, but we can help. “We can offer digital printing for shorter runs, for example, which also avoids plate charges - which is ideal for start-ups who are not looking to invest thousands of pounds. The Earthpouch – an industry first - is made from paper with a 100% plastic free heat-sealable coating which is then formed into a preformed stand-up pouch which provides total food security for dry and moist food products. We have standard, barrier and high barrier. 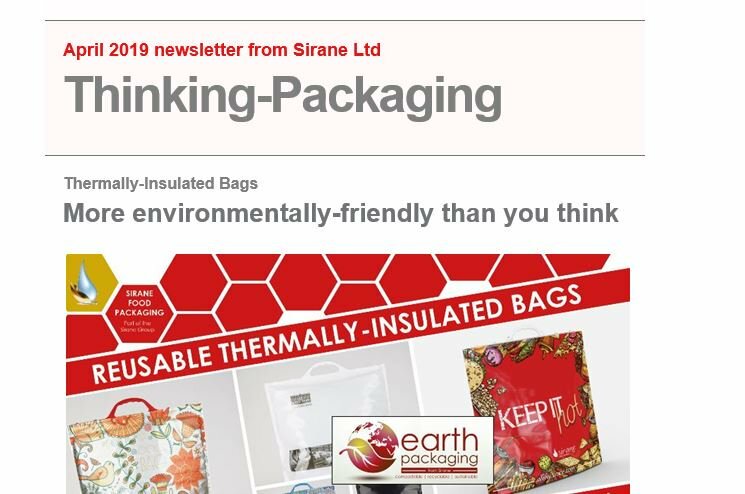 Peter Ralten added: “Sirane offers a wide range of food packaging solutions, including ovenable and microwavable cooking bags, ovenable dividers and more. Sirane may well be a company that visitors to this show would benefit from knowing more about. Bread & Jam takes place at the Institute of Directors, Pall Mall, London, from October 4-5, 2018. There’s also a series of lectures and talks, including The Apprentice winner Sarah Lynn, co-owner of Sweets in the City, and Julia Glotz from The Grocer magazine.